Thanks to Hervé Courtois for sharing this on Facebook. 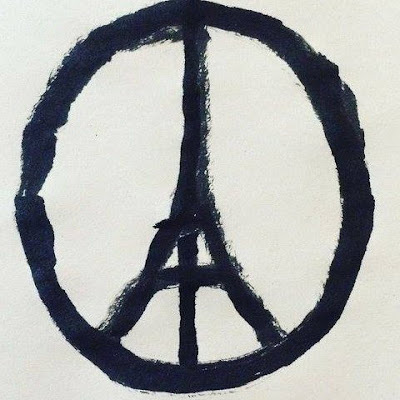 According to France 24 International News, this "'Peace for Paris' symbol, combining the city's beloved Eiffel Tower with the peace sign of the Sixties, has gone viral following the Paris terror attacks. The designer is a 32-year-old French graphic artist, Jean Jullien, who lives in London."